A few weeks ago I saw a recipe for eggs and tomato sauce. That got me thinking about eggs and tomatoes. I really never thought of combining these two foods together, but I got the urge to do so. Also with it being tomato season and all, I thought it would be great to make a simple sandwich that would combine these two foods. I have mentioned this time and time again, but once I get an idea in my head it just won’t go away until I do something about. I decided that I didn’t want to go with tomato sauce, but a nice thick slice of tomato. 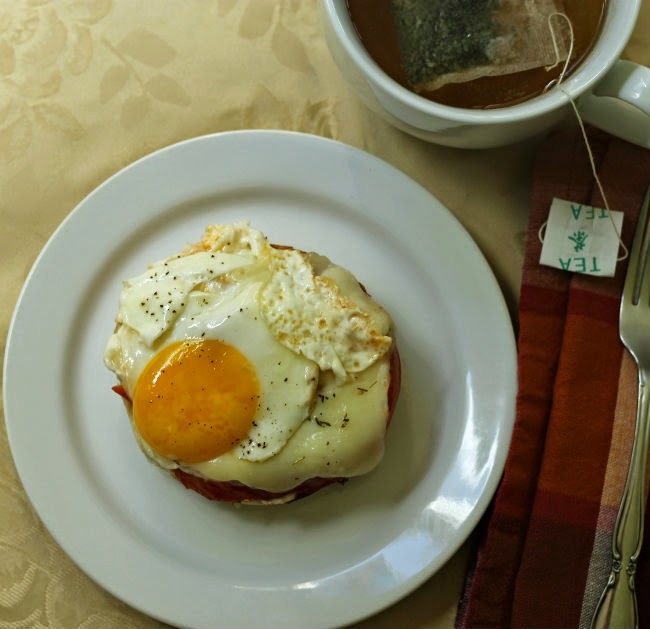 The tomato is cooked slightly before it is topped with mozzarella cheese and then topped with a fried egg. This is placed on top of a lightly toasted half of a bagel. A little Italian seasoning, salt, and pepper add the extra flavor that you need. Don’t you think that sometimes the simple things turn out to be some of the best foods? 1. Add olive oil to a non-stick skillet and heat over medium heat for a minute or two. 2. Place tomato slice in heated skillet and cook for 30 seconds to 1 minute. Flip and cook for another 30 seconds. 3. Sprinkle with salt and Italian seasoning. Place mozzarella over top of the tomato. 4. Make room for the egg and crack egg into the skillet. Cover and cook until the cheese starts to melt and the egg is fried to liking. 5. While the cheese is melting and the egg is frying, toast 1/2 of a bagel. 6. Top egg with a little more salt and pepper. 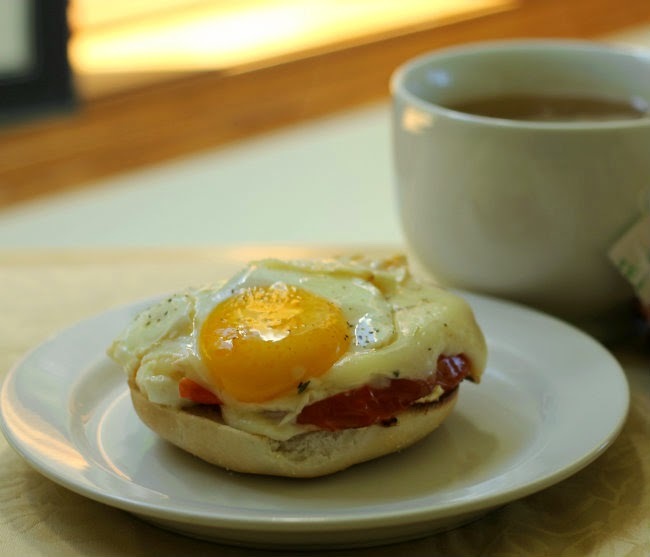 Place the tomato and cheese on top of the bagel; place egg on top of the tomato and cheese. That looks delicious and I completely agree, I’d much prefer a slice of tomato to tomato sauce. Where runny yolks and good tomatoes are concerned…then yes, simple is often best! What a fun breakfast sandwich! My mouth is watering already, Dawn! 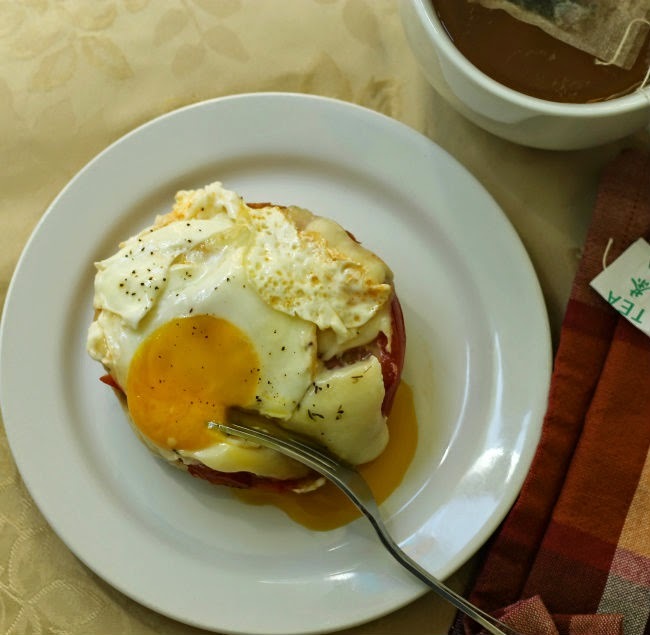 Warm tomatoes are so delicious ~ and the mozzarella with the egg … I’ll serve this as a Saturday breakfast! 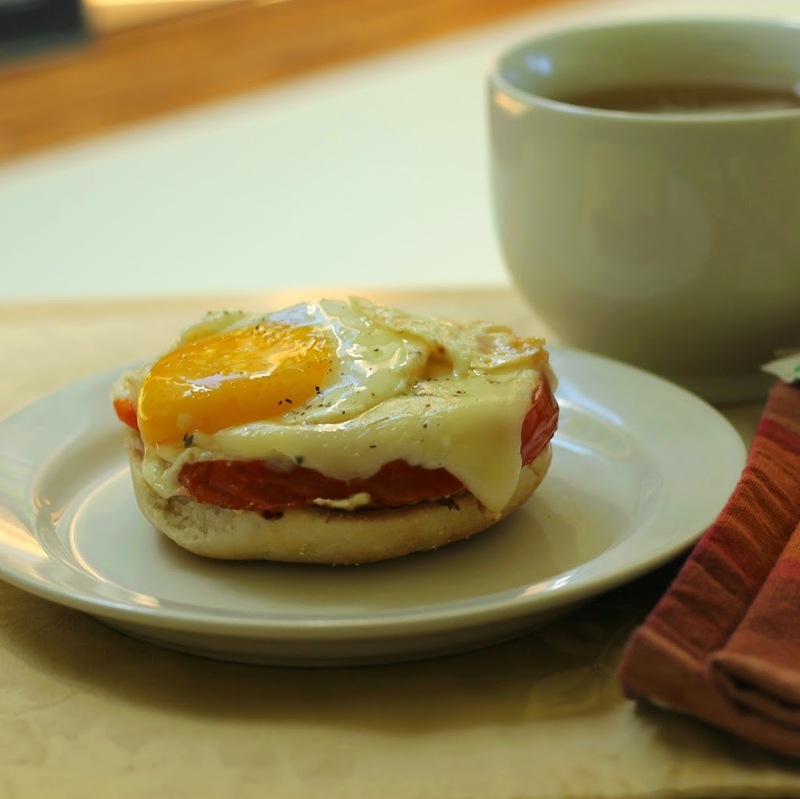 Cheese, eggs, tomatoes….what a fantastic combination! I’d love this for MY breakfast! These are fun egg dishes to make, and fun to eat. Yum.